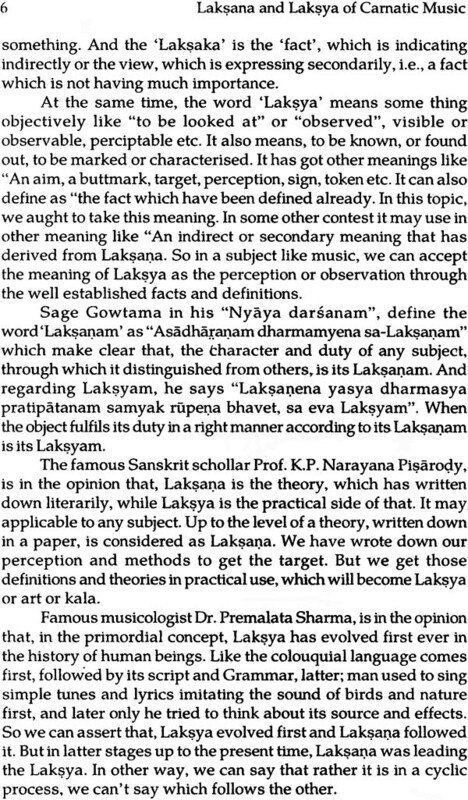 In contrary to the general belief, it is emphasized through this book that ‘Laksya’ leads tha laksana in art forms, with examples and illustrations and further clarifies that unlike scientific subjects, which follows well proved theorems. Music as well as other art forms doesn’t follow theorist but the practitioners who take the art as well as appreciators to another world through his creative imagination, cause science always follows facts while art follows fiction. The author tried to prove this with a comparison of laksanas, which defined, by several musicologists in consecutive ages. 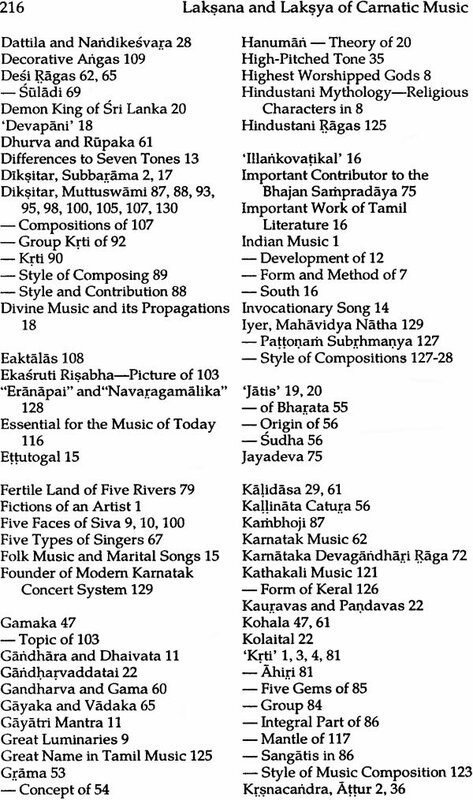 The core of the study room around the compositions of the revolutionary composers popularly known as Musical Trinity and their followers; which resulted in the concert pattern of Carnatic Music of the present time. Theorist recorded all these developments time to time for the benefit of learners and the present trend await a novice to come with a peculiar change which will be acceptable to all contemporaneous and posterity. Dr. T.V. Manikandan is a vocal musician of Carmatic Music Stream. Hailing from a family of musicians and learned under several top ranking musicians and a first class M.A., M. Phil Music and a Ph.D. in Music; he is at present a member of Faculty of Music and Fine Arts, University of Delhi. Being a graded artiste of All India Radio and performed all over India, he has released Musical albums apart from his erudite publications several journals. This book entitled “Laksana and Laksya of Camatic Music: A Quest” is an authentic work which quoted ambient texts from Natya Sastra, chilappatikaram etc. to the present, for the laksanas about Indian Music which described in those texts. It analyses the changes which described in those texts. It analyses the changes which occurred in the subsequent texts and ages and simultaneously how it reflected in the practice. The core of the study portrayed in the 5th chapter through which he tried to show the how the practical kamatak music field deviated and made new horizons in 18th century with the initiation of Musical Trinity. 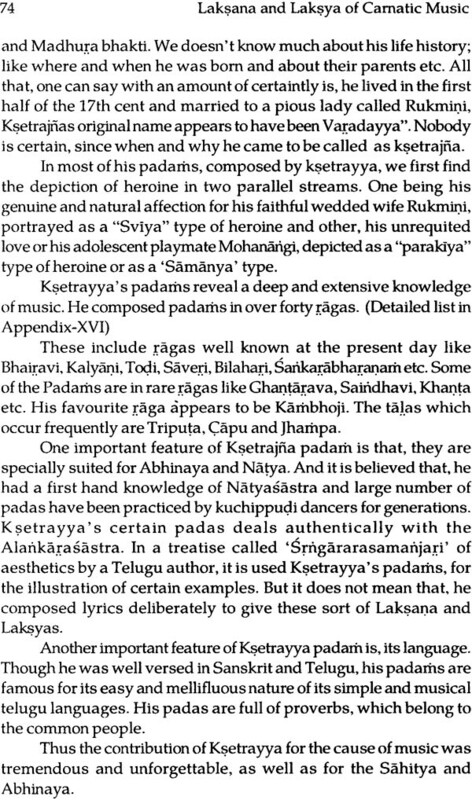 Apparently the laksanas have been changed about musical forms and new ragas. And those lakasanas still alive with their musical compositions and concert pattern i.e. laksya. This book deals with all these deatails in a simple manner which can be useful to a student as well as a teacher for reference purposes. I hope this analytical study will be highly benefited for the field of karnatak music and musicians. I express my blessings to the author, who is also my student, for his spirit of dedication and sincere attitude towards the cause of music. This book is the result of an analytical study of the style and character of the compositions created by Syamasastry, St. Tyagaraja and Muttuswamy Diksitar, popularly known as Sangita Trinurti’. This study dwells in to the concepts of theories and practice of music as envisaged by these Trinity, directly or indirectly, through their compositions. This work is mainly about the concept of Sangita Sastras and their ractice and their difference through the ages. 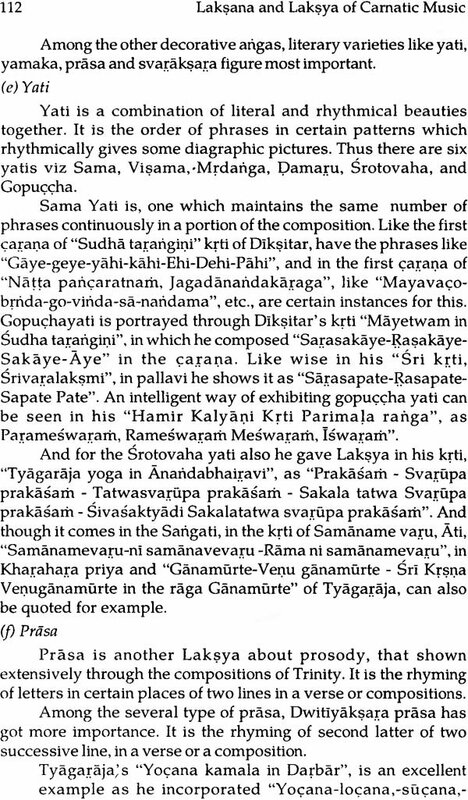 The concept of Sasta in the time of Natyasastra and Brhaddesi were different from the time of Sangita Ratnakara, and that of Svaramelakalanidhi and caturdandiprakasika. Similarly in the sphere of practice also, the style and character of the practical music, went through a trememdous transformations. 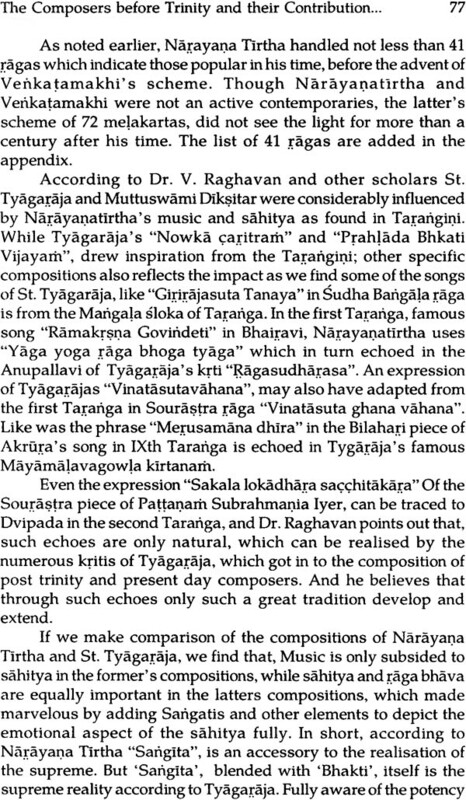 The style of compositions of Annamacarya, Purandaradasa are different from that of St. Tyagaraja, Syamasastry and Disksitar as well as that of Swati Tirunal and others of later centuries. This work concentrated on the peculiarity and style of the compositions of Trinity, as they were the trend setters for the popular musical form ‘Krti’. They shown the path for other latter composers to compose several musical forms along with their own rages and talas in addition to that existed in previous age. Their way of presentation has excelled due to their new introductions such as Gamka, Cittaswara, Solkkettuswara, Yati, Prasa, etc. 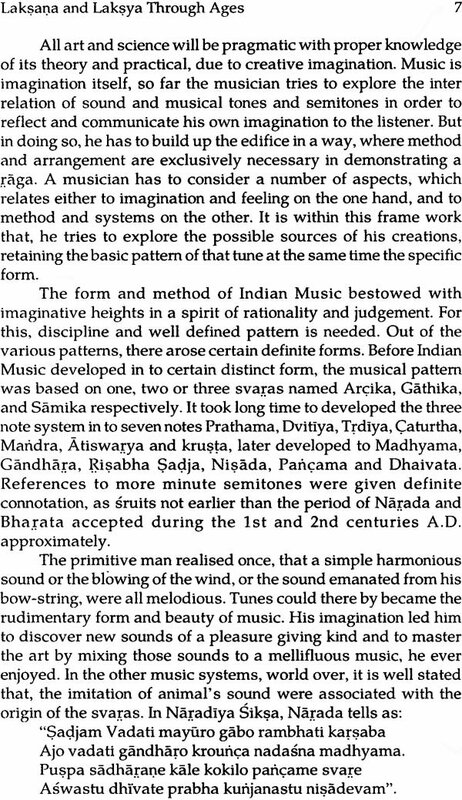 In short, the Sastras or Sangita laksana mentioned by them in their compositions and the style, they adopted in composing their compositions is the essence of this study. The transliteration of non –English words is a necessity, while writing about a patently Indian subject like Karnataka music, and the use of diacritical marks has to be resorted to. Here I tried my level best to transliterate all the original words into English. 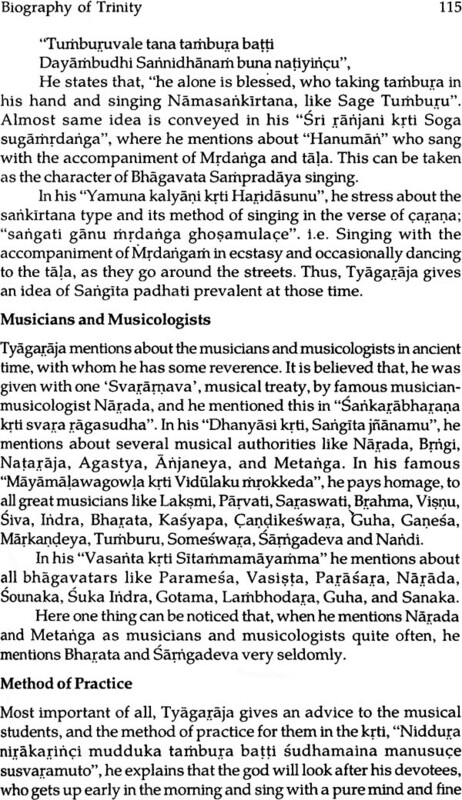 Here the popular spelling of Thyagaraja has written as Tyagaraja. Similarly the popular spelling Krishna has written as Krsna. I hope that, this study will contribute a better insight to the various aspects of Karnatak music and throw light to many things in future, in this direction. Indian music, like any other art form, blossomed through many centuries, and ages together to establish certain principles in theory and practice. During the evolution it established several new theories and improvements, while rejecting many of its previous traditions, according to the trend. These improvements and innovations, initially came directly in to practice, and accepted by the theoreticians later-on. And it is needless to say that the same was followed by the musicians and music students, until a noval idea cultured aming the practicing musicians again. In shrp contrast with any other branch of study, in which theory leads to new discoveries, in music and other art forms, the practical side would lead the art, while the theoreticians follow it. In other words, the scientific studies mainly depends or follows the well-approved facts and not speculations, while the art develop mainly depending the imagination or fictions of an artist who practice it. The aforesaid Laksanas have been preserved for the posterity mainly, through the Laksana granthas, Laksanagitas and other compositions like Prabandha, Krti, etc. The musical heritage, originated from vedic and Post-vedic texts, like Upanisads, Siksas, Pratisakyas, Puranas etc., directly or indirectly, further conveyed to us through musical texts, like Natyasastra of Bharata, Sangita Makaranda of Narada, Brhaddesi of Matanga, Sangita Ratnakara of Samgadeva, Swaramelakalanidhi of Ramamatya, Ragavibodha of Somanatha, Caturdandiprakasika, of Venkatamakhi etc. 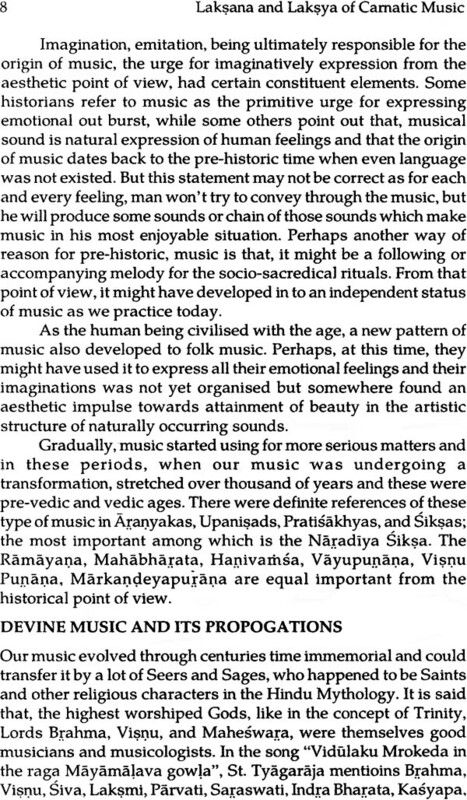 All these works clearly describe the details, and illustrations, the various aspects of music, and its basic constituents like Nadam, Sruti, Svara, Raga Tala, Prabandha, Vadya etc. respectively of their times. There have been some later musical treatises too, which throw light on the changes occurring on the subjects like Sruti, Raga, Tala, Prabandha etc., such as “Sangita Saramrta” of King Tulaja, “Sangita Sampradayapradarsini” of Subbarama Diksitar, “ Sangita Candrika” of Krsnacandra, Sangita Kalpadruma” of Dr. L. Muttaiya Bhagavatar, etc. 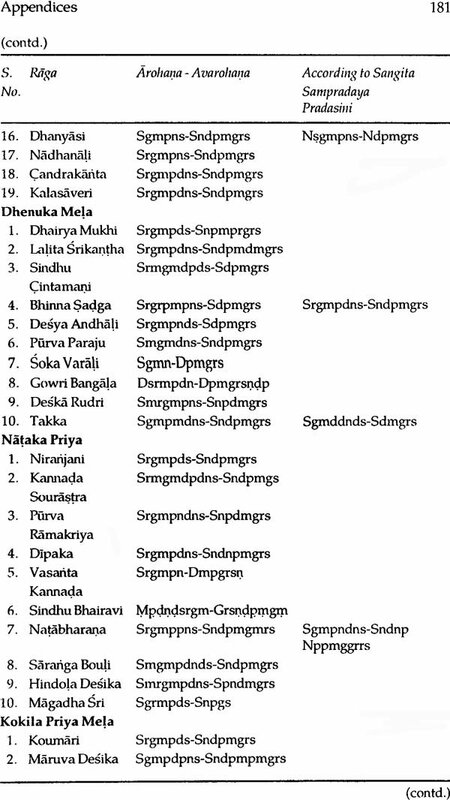 Dr. L. Muthiah Bagavatar’s new ragas like “Mayapradipam, Nagabhusani, Vinadhari, Harinarayani, Cakrapradiptam”, and Attur Krsnacandra’s 20 Srutis and 84 Melas are worth mentioning in this regard. Prof.Sambamurthy, a 20th cent. Musicologist, has done an outstanding service by recording all the Laksanas, and Laksyas, (as illustrations) which followed earlier, in addition to his own observations on the contemporary music and its characteristic featured. Through his works entitled “South Indian Music” in 6 volumes, as well as his other works. This helped the students of the present generation and music lovers to know about the details of the new developments, the theory and practice of music, and helped in creating a general awareness among the common listeners and music connoisseurs. As we analyse the whole history of music, one point becomes very clear viz., the Laksana and Laksya, the two branches of art have been in conflict, though joined together quite often in several occasions. 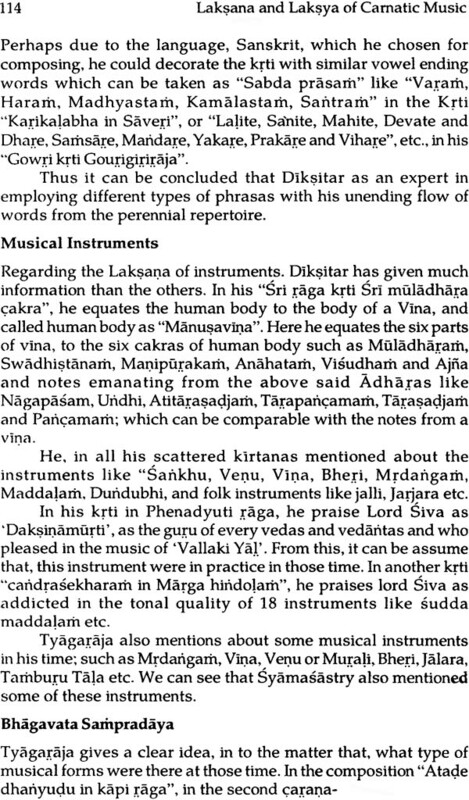 To cite a few, in the case of rage, Diksitar composed kritis in vivadi melas to get his students acquaint with the same. Here we realise that, he was purely following the old texts in composing his compositions, while Tagaraja and other composers added new ragas and talas in their compositions. 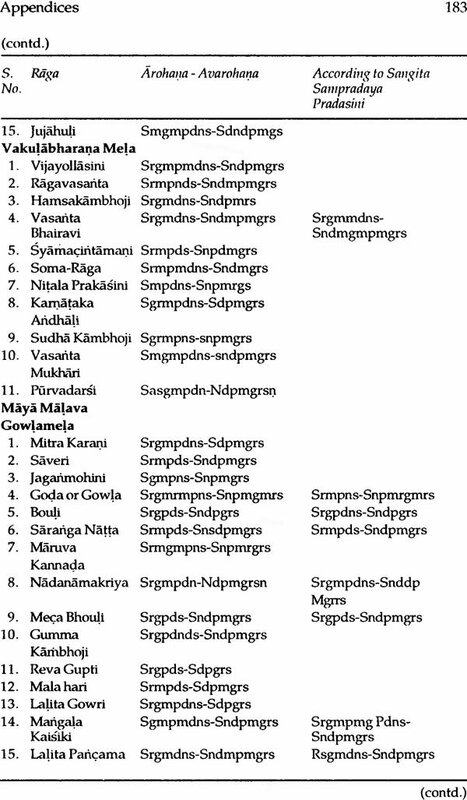 Interestingly all these became Laksanas through the later lakshana granthas. These composers used Laksya as the media in conveying several topics like Ethics, Philosophy, Purana etc., along with the subject of music and its Laksana, indirectly or some times, very explicity. 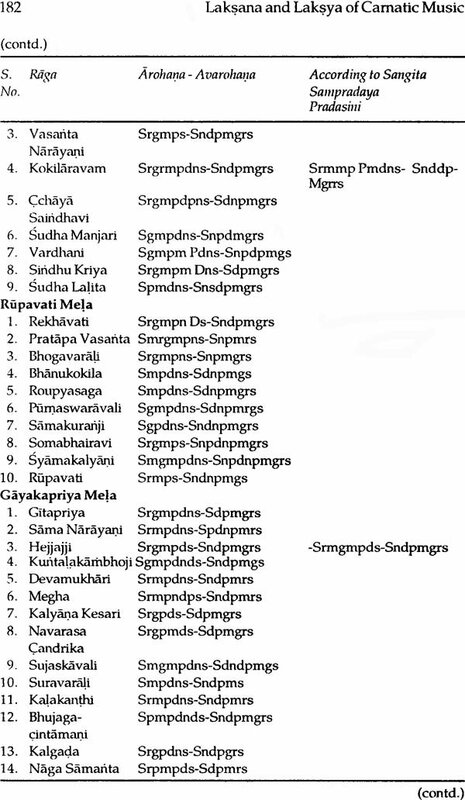 And learning of these compositions itself will help one to understand those Laksanas implied or mentioned in their krtis or through the way, they composed it. In short, we can say that, these krtis have become monumental illustrations by which both the Laksana and Laksya will sustain till another form appear to replace them. 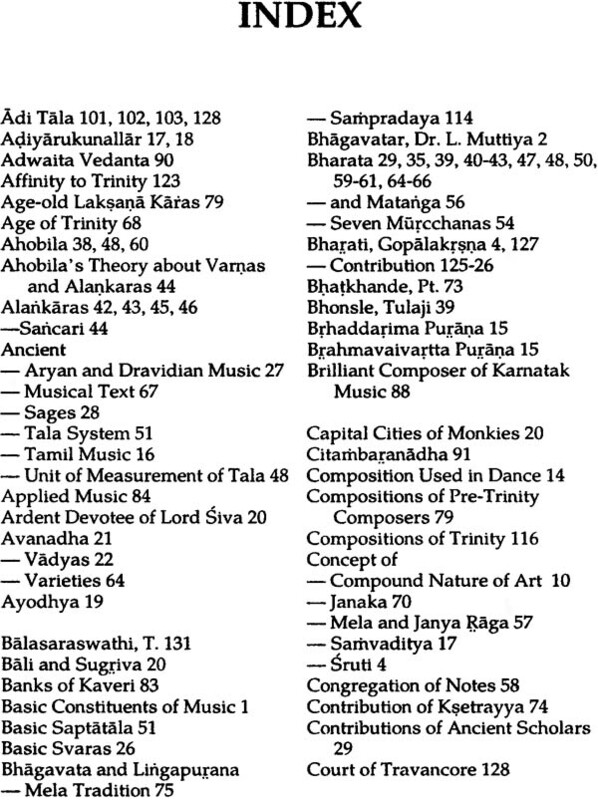 Till then the study of these compositions has got full relevance in so many viz. academically, theoretically and practically, to illustrate the same. 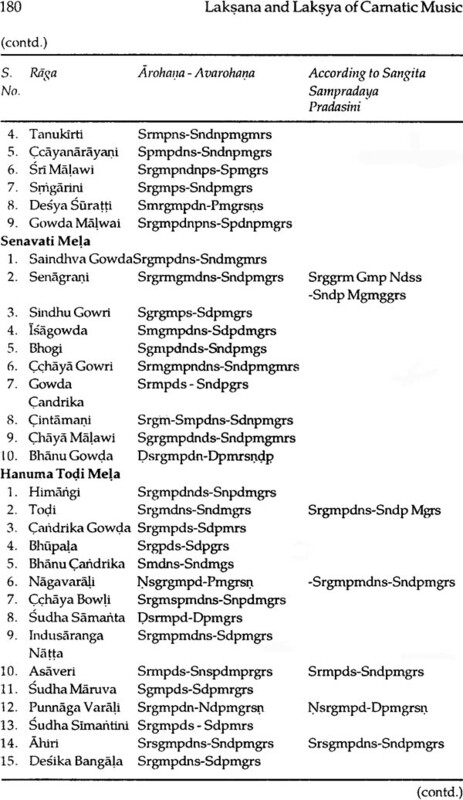 (a) A thorough observation of the srutis and swaras, each composer handled in their compositions like Begada madhyananisada etc. ; give light in to their concept of Sruti and Swara. 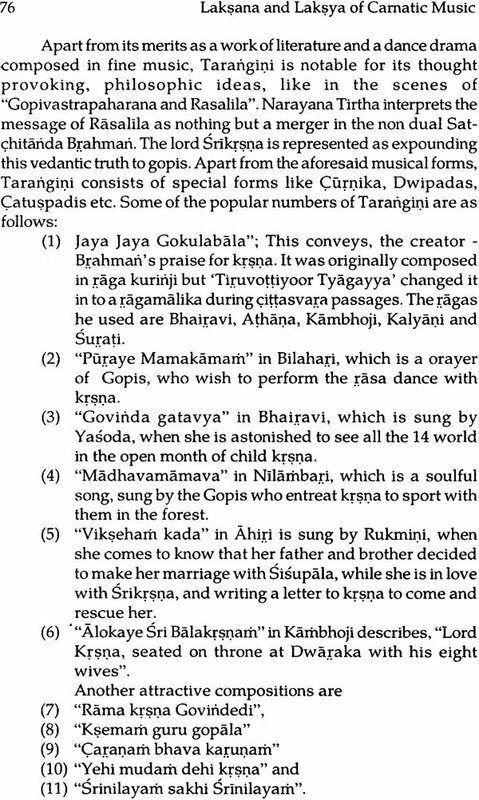 (b) An analytical study of the ragas, and decorative angas like Svaraksara etc., used by the trinity in their compositions will help any one, to understand them in a better way. 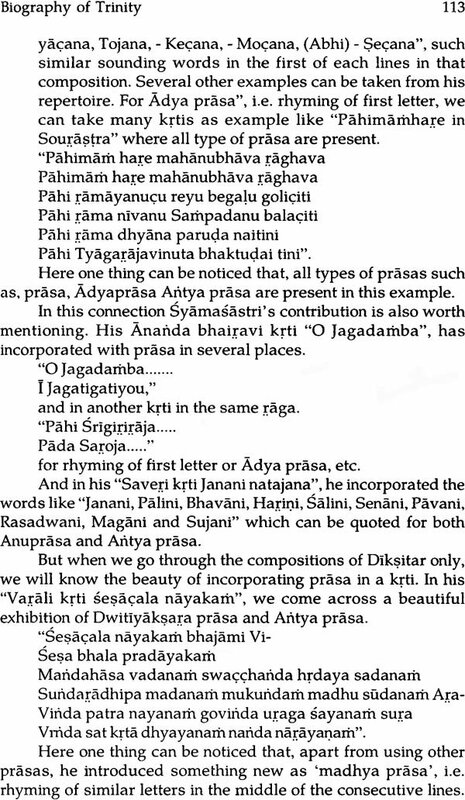 (c) Theactual method of putting Desadi-Madhyati talas in the Krtis of tyagaraja also can be sited for example. 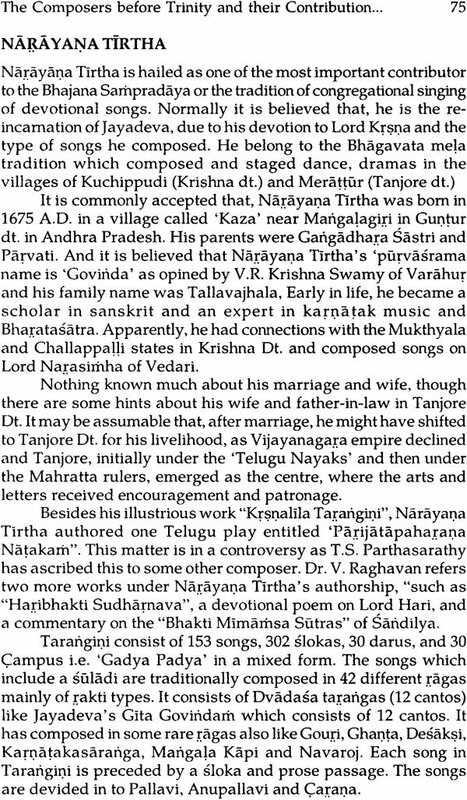 (d) After the time of Trinity, there ahad been an array of composers, who composed krtis, modelled after those of their gurus and grand gurus. This will help the present day composers to compose new songs in the same model, which would help to add to the repertoire of Karnatak music. (e) The study of these Laksanas in the krtis of Trinity, will reveal the theory of their time and also those earlier Laksanas they have utilised, which would in turn help in preserving the same for future generations. (f) No work seems to have discussed a relevant topic as the present work is dealing with namely and analitical approach in a theory-practical oriented way to find out certain points like (a) The theories adopted by the three celebrated composers in their compositions directly or indirectly. (b) How they converted these Laksanas in to Laksya by composing a new type of composition. Such a comparative approach with an analitical attitude in this direction, is some thing new and not attempted by any, one though many have worked hard and produced brilliant works on Trinities and their music.